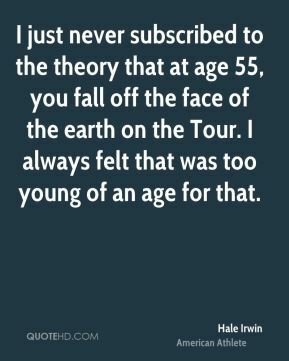 I just never subscribed to the theory that at age 55, you fall off the face of the earth on the Tour. I always felt that was too young of an age for that. 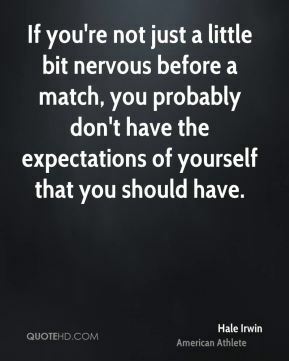 If you're not just a little bit nervous before a match, you probably don't have the expectations of yourself that you should have.